Healthcare providers agree delivering a better patient experience is important to remaining competitive in the marketplace. A recent study revealed 85 percent of healthcare systems believe “patient experience” is one of the top three priorities for their organizations, with 64 percent of healthcare organizations reporting they’ve seen an increase in patient acquisition since starting patient experience initiatives. However, in order to effectively improve the patient experience, healthcare organizations need to identify, analyze, and act on the issues affecting the multiple touchpoints of the patient experience. Below are three techniques which, with the right technology, can leverage patient feedback to engage and acquire more patients in the new consumer-driven healthcare market. 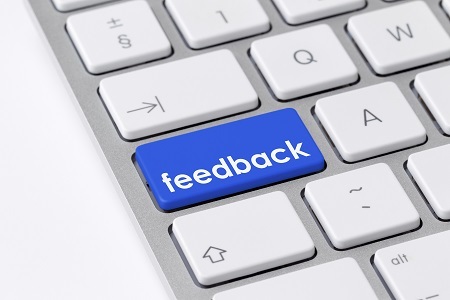 Your CAHPS surveys are no longer the only source of patient feedback. We are in a consumer-driven, digital world and the voice of the patient has migrated online. Patients are now sharing their experiences — good and bad — through online rating and review sites like Yelp, Vitals, and Healthgrades, as well as social media sites such as Facebook and Twitter. Similar to rating experiences with restaurants, hotel stays, and Amazon purchases, the 5-star rating resonates in healthcare. As a result, these reviews and ratings are impacting consumer choice in selecting physicians, clinics, and hospitals. This recent shift is causing healthcare systems to rethink their strategy for managing patient feedback. As part of this initiative, healthcare organizations also need to adopt an engagement strategy for responding to online ratings, reviews, and feedback. When it comes to negative reviews, promptly performing online service recovery and creating a true dialog with the patient enables healthcare providers, physician practices, and medical groups to solve the patient’s issues while demonstrating a patient’s experience is top priority. Setting up alerts to help identify negative reviews will also help healthcare providers address patients’ concerns quickly. This provides healthcare organizations with the opportunity to turn an unhappy patient into an advocate and a negative review into a positive one. Take a holistic approach when analyzing your patient experience data. The breadth and depth of patient insights has expanded with CAHPS, online reviews and comments, and digital survey campaigns revealing a wealth of data that needs to be managed. Considering the increasingly competitive market for patients, this puts more responsibility on healthcare organizations to provide the best patient experience. This means identifying areas where they need to improve, and doing it quickly. After all, there are multiple components involved in evaluating a healthcare experience. Therefore, root cause analysis can let you get to the core of an issue a patient has with your hospital, practice or provider. For example, one facility we work with identified issues with making patient appointments. Drilling down deeper, they discovered the issue was routing calls — and they fixed it. It sounds like a simple issue, but patient experience scores increased after the change was made because it turned out, it was a common issue for many patients. Monitoring patient feedback and making the necessary adjustments can help optimize your online reputation, CAHPS scores, and your overall relationship with your patients. Physicians and staff have a significant impact on patient experience and online reputation. Physicians are often skeptical of online reviews and some are simply unaware of any patient experience issues. However, they’re taught to rely on empirical evidence, data and outcomes. This is when patient experience metrics become an eye opener. These metrics not only identify where doctors need to improve, they incentivize them to make changes for the better. Even brilliant doctors receive negative feedback on his or her bedside manner. Sharing patient experience reports that rank physicians within the practices can spark their competitive side — nobody wants to be rated with the lowest score. Also, sharing and celebrating positive feedback among staff is a motivator while using negative feedback as a teaching tool, and a way to hold staff accountable, can help drive a more patient experience driven culture. Patient experience data isn’t just a game changer— it’s a behavior changer. As online rating and review sites continue to play a more influential role in healthcare decisions, there will be a greater level of expectation for healthcare providers to respond to patients’ comments and reviews in an appropriate manner. Proper control and management of online reviews will further enhance consumer engagement and strengthen a healthcare provider’s position in the market. With the right tools and strategies in place, healthcare organizations can dig deeper into the practices that are consistently ranking high on patient experience scores, and standardize best practices across an entire system. The time is now for healthcare providers to take full control of their online reputation to become an industry leader in building loyalty and driving new patient acquisition.